MSc Human Resource Management (International Development) is a practical introduction to the philosophy, values, policies and practices of human resource management in the context of developing or transitional countries. Students take part in fieldwork – visiting companies and contexts – to deepen their understanding of theory by seeing it in practice. A visit to automotive company Jaguar was organised as part of the course to provide the students with an opportunity to gain insights into some of the human resource and international management challenges faced by multinational organisations. 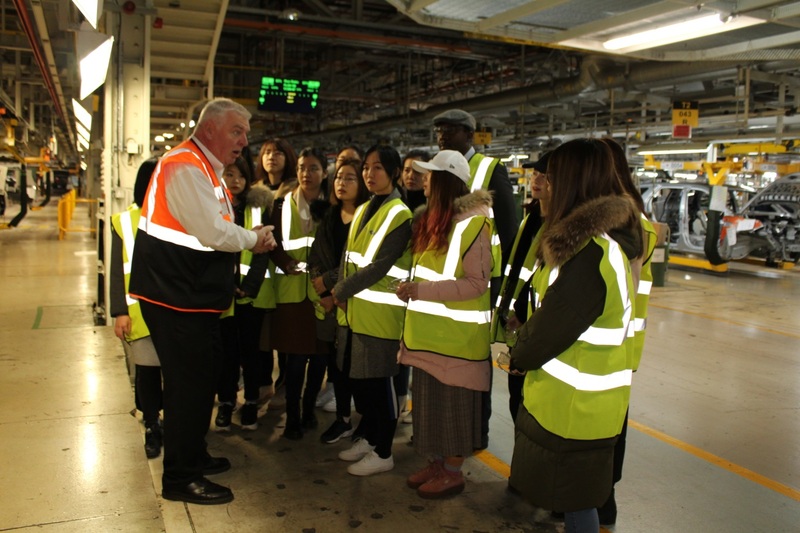 Students visited the Jaguar Land-Rover Factory Halewood Plant. Jaguar Land Rover is a multinational automotive company with its headquarters in Whitley, Coventry, United Kingdom, and a subsidiary of Indian automotive company Tata Motors. The principal activity of Jaguar Land Rover Limited is the design, development, manufacture and sale of vehicles bearing the Jaguar and Land Rover marques. Both marques have long and complex histories prior to their merger – Jaguar going back to the 1930s and Land Rover to the 1940s, first coming together in 1968 as part of the ill-fated British Leyland conglomerate; and later existed independently of each other, and latterly as subsidiaries of BMW (in the case of Land Rover), and Ford Motor Company (in the case of Jaguar). Jaguar Land Rover has been a subsidiary of Tata Motors since they established a specific division for the acquisition of Jaguar Cars Limited and Land Rover from Ford in 2008. On 1 January 2013 the operations of Jaguar Cars Limited and Land Rover were merged as Jaguar Land Rover Limited and the parent organisation was renamed Jaguar Land Rover Automotive PLC. Students from Msc HR (ID) at the Jaguar plant. From the experience and factory tour students developed an understanding on the entire process of how cars are manufactured – from the moulding of sheet metal to intricate final touches. Students could communicate with staff members and discuss ideas. Students were able to see how skilled technicians and sophisticated machines work seamlessly together on production lines to perfect some of Jaguar’s top-range cars. It gave students new insights on employee training and development and talent management. “We were totally amazed by witnessing how their teamwork perfectly aligned with advanced technology to make a Land Rover from pieces of raw metal to a polished new car, within 48 hours. This visit linked the workplace practice to our academic knowledge, and benefited us with better understanding of how human resource development can contribute to organisational success. 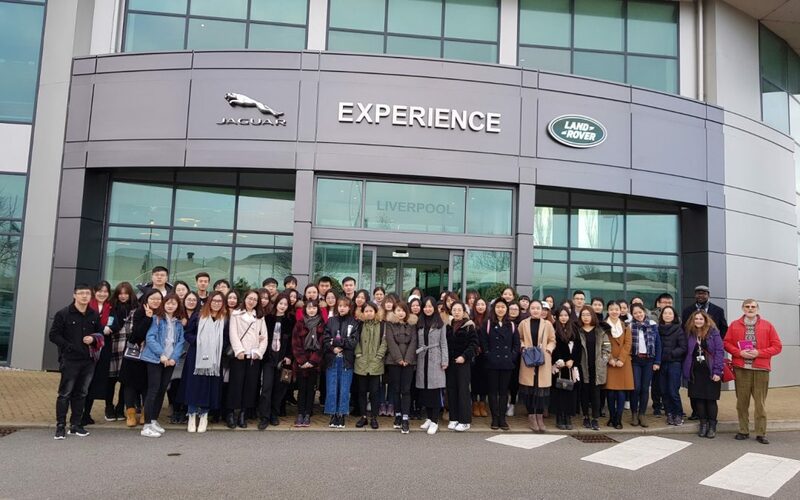 We greatly appreciate this opportunity and give a round of applause to the school (specifically professor Paul Barry and Lujia Feng) and Jaguar Land Rover. 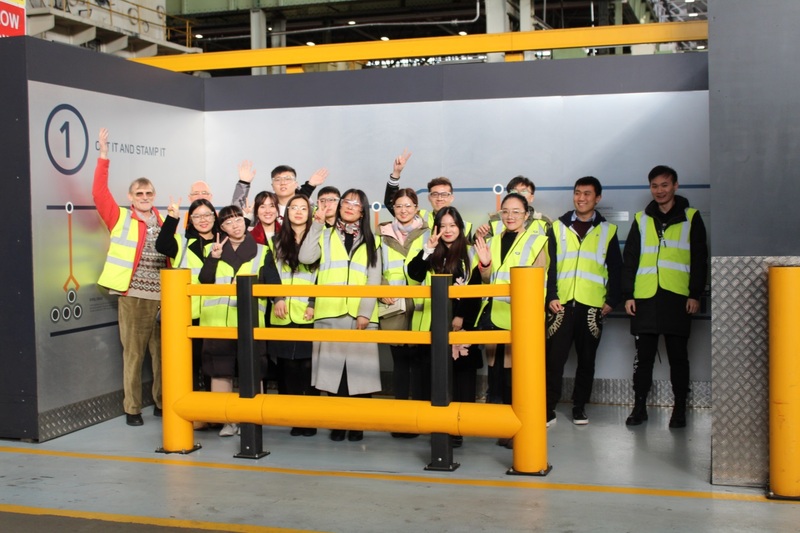 Thanks again to Maureen, McGuire in Jaguar Education Business Partnership Centre (EBPC) for making this visit possible and thanks to our factory tour guides, John Downey, Les Church, Mervyn Dorricott and Damian Hayden for their great presentation and guide work. Great GDI can put on an event like this as it does illustrate the great challenge ahead in ensuring quality employment opportunities as technology advances. Demographic forecasting shows a collapse of numbers in the employment age range in many countries so will a balance be achieved as automation and AI reduce the size of the required workforce ? Thanks to Paul, Lujia and others in making this visit possible. It illustrates vividly issues discussed in the classroom.